This morning, after you were awake, you passed through your bedroom door. Then you went through the bathroom door. Later you entered, through a door, the dining room. After a time, with your father and mother, you left the house through the outside door. You walked down the street and here you are in church, having entered through the door. Every day you are passing through various doors. What wonderful things doors are! I wonder who invented doors. What would we do without doors? 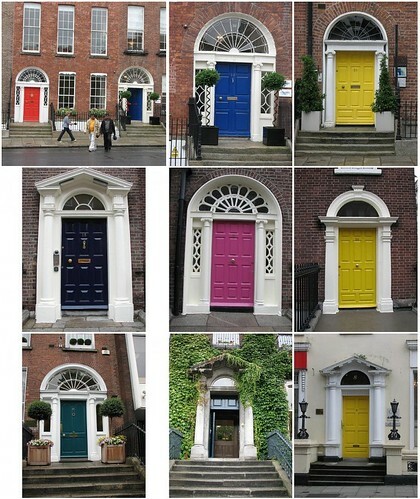 There are doors to houses and there are doors to life. Let me tell you about them. A door is made of wood. What beautiful wood is in these church doors! The doors of life are made of our will. By the exercise of our will we open and close whatsoever doors of life we choose. The doors of our houses swing on hinges. Heavy doors seem as light as a feather because they are so delicately hung upon hinges. The hinges of the doors of life are made not of brass or iron, but of love. When, in a little while, you leave this church you will take hold of a knob and pull open the door. The doors of life have knobs. Those knobs are called courtesy. You can open well any door you choose if only you will use the knob courtesy. namely — you lock your door only by opening it. Open your door to the Master. I will come in to him, and will sup with him and he with me. The idea and instructions for this craft can be found in Crayola. You can make a variation of this craft. Instead of drawing the child's favorite things inside the store, he can draw what is inside his heart - the things that are true and pure or people he loves.